The Kissimmee Real Estate Market Trends Report for 34741 shows 46 homes sold in October 2018 up from 45 in October 2017. The average sales price was $192,568 compared to $174,158 in October 2017 and homes were on the market an average of 47 days, equal to 47 days in October 2017. The mortgage-lending process has several steps, and one of them is the appraisal. Lenders require an unbiased valuation of the home that’s being sold, and the appraiser will not only look at sales of similar homes in the area, they’ll look at the property itself. Here are several things sellers can do to get ready for the process, and maybe even improve the appraisal value of the property. Start your once-over outside, and make sure your front and back yards are neat and clean of debris. Check fencing for any damaged places and repair them. Small improvements are best for the look of your landscaping: fresh mulch, some new plants, and a recent mow and trim work. The siding of the house should look great: no peeling paint, no broken or missing vinyl siding, no rotting wood. Check condition walkways and steps, making sure nothing is in disrepair or needs replacing. Make certain windows are in good working order, with no rotting sills, cracked glass or peeling paint. Decking and porches should be in safe condition. Check the roofing for missing shingles or bad spots. If your roof has had any recent repairs, have that information ready for the appraiser to take note of. Walls should look great–no permanent marks or cracks. If you see a problem that needs repair, have the work done, or you’ll need to allow the buyer to have a credit to make the repair. Flooring that’s worn, soft, cracked, scratched or stained won’t make a good impression. Clean the carpets, and make repairs to any hardwood, tile or linoleum. Bathroom fixtures should be clean and in good working order. In the kitchen, that sagging cabinet door needs to be set right, and faucets and plumbing should be in good shape. Odors can signify a problem: pet odor can be taken care of with some elbow grease and deodorizing cleaners, and if mold is an issue, have that erased by a mold-cleaning specialist. If it’s just general bathroom mold, there are plenty of household cleaners to remedy that. Ceiling stains can be a sign of a leak. If you’ve had that repaired, have that information available for the appraiser, and paint the ceiling. The appraiser will be looking at general things, but if something costs $500 or less to repair, take the chance that it will improve the value of the property. Don’t go replacing a working 10-year-old HVAC unit that you’ve kept maintained, as that won’t necessarily add to the appraisal value. Have other major repair paperwork ready for the appraisal appointment and allow the expert to walk around and do their assessment. The buyer already likes your house well enough to make an offer, and you’ve likely already done the work to make your home sell. 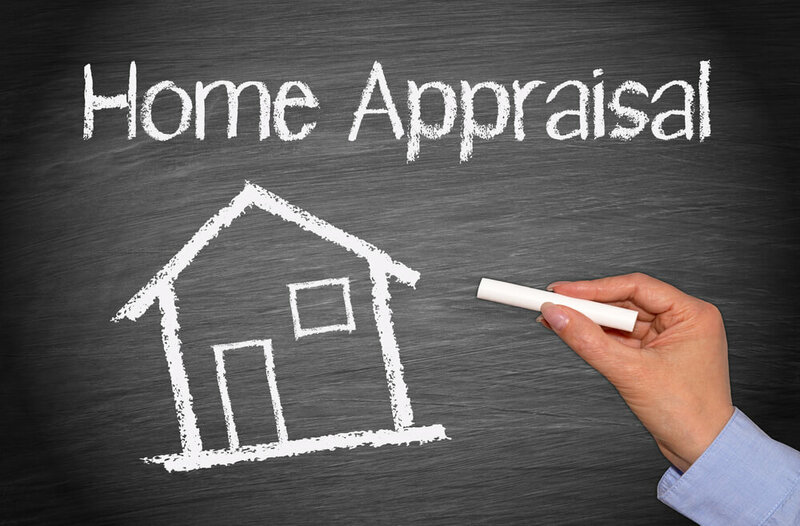 Maintain your house during the showing process, and it will benefit you come appraisal time. The Windermere Real Estate Market Trends Report shows the average sales price was $600,632 in July 2018 compared to $584,461 in July 2017. Homes were on the market for an average of 74 days, down from 82 days last year. Homes sold for 97% of the list price. The Kissimmee Real Estate Market Trends Report for 34741 shows 49 homes sold in July 2018 up from 39 in July 2017. The average sales price was $184,354 compared to $162,155 in July 2017 and homes were on the market an average of 31 days, down from 62 days in July 2017. The Celebration Real Estate Market Trends Report for 34747 shows 139 homes sold in July 2018 compared to 108 in July 2017. The average sales price was $348,587 compared to $271,723 in July 2017 and homes were on the market an average of 91 days, compared to 107 days in July 2017. Sometimes it’s necessary to leave your old home before it sells, and even if it’s in a safe community, there are steps that should be taken to make sure the home and its components are secure. Criminals are pretty savvy these days, and you don’t want your home compromised, especially when potential buyers are there for a showing. First and foremost, make sure all your doors and windows are locked. Most of those who are looking for easy access will find it. They don’t care to draw attention to themselves by smashing windows and creating a lot of noise. Check with your insurance agent and make sure you’re covered properly for a vacant house. Talk to your RealtorⓇ about the lockbox that will be placed on your entryway. Make certain it’s electronic, because the agent can not only get in without a key, but can keep track of who’s used the lockbox to enter, and when. If you don’t already, have motion sensor floodlights installed around the perimeter of your home. This will help deter anyone who is creeping around after dark. Ask a relative, trusted neighbor or hire someone with good references to keep an eye on things, especially if you’ve moved more than a short drive away. If you have a neighbor whose driveway is close by, ask if they would be willing to use your driveway to park in. The landscaping should be maintained to keep any suspicion that you’re not there, and it should be taken care of by a reputable landscaper. Your RealtorⓇ should be able to help you find someone for this job. Secure outdoor components–your light fixtures and even the HVAC unit can be stolen, and it’s not as uncommon as you’d think. The light fixtures can be motion-detection activated, and the HVAC unit circuit box can be locked, and make it more difficult to get to with fencing or a security cage. 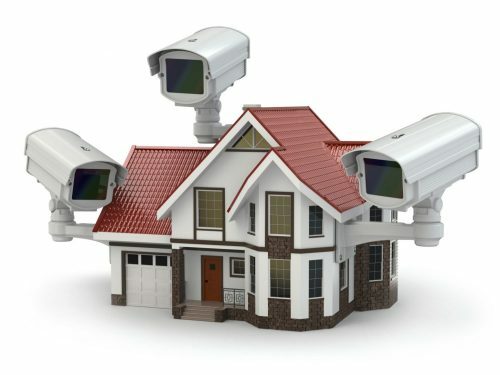 A home security system is now more affordable than ever, and you don’t have to pay a monthly service fee to a company. Do some online research and find a system that connects wirelessly and has a coordinating smartphone app. You can keep an eye on things yourself, and if there’s anything suspicious, call your contact and ask them to check your house for you. The cost of keeping your electricity and Wi-Fi connected to the vacant house can’t compare to the peace of mind and protection it can offer while selling your home. That doesn’t count the money you would save from repairs for damage or stolen items to be replaced. Protect your investment by protecting your vacant house while it waits for new owners. Accepting a new job, moving closer to aging parents, or looking for a fresh start, you’ve decided to relocate. You haven’t chosen a real estate agent to get your house sold, because you’re considering using your house for extra income as a rental. There are pros and cons to becoming a landlord, so look through these tips to get you started on making the decision. You need to first look at the financial aspect of renting your house. Landlord’s insurance premiums may cost more than your homeowner’s insurance. Talk to your insurance agent about the differences in these policies. Do the math–if you have a loss after all your expenses (insurance, repairs, property taxes, etc.) are deducted from the rental payments, it’s a better idea to sell. If the money that a home sale would generate will help you buy a new place, by all means, sell. One factor to consider is that if your move is temporary–you know you’ll be returning in a few years, and it may be a good idea to lease while you’re away, so you won’t have to house hunt upon your return. Take into consideration that in larger areas, there may be times of a vacancy. Can you handle the old mortgage and the new? If not, put the house on the market. 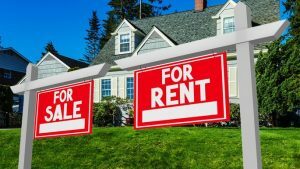 If there are improvements that need to be done to the home before you can sell it, and you’re not financially able to make them, then renting may be a good option. Keep in mind that most tenants will not care for your house like you, and, after moving, it could be at a great cost when you have to make the repairs. Things can happen, and you may get tenants that can’t pay the rent on time, or stop paying rent, and you’re stuck with the mortgage payment, as well as having to go through the eviction process. Do you really want to become a landlord? Talk to a few people who are experienced in renting and leasing property, writing down questions to ask, and get their thoughts on the process. Experience is the best teacher. Renting or leasing your home is a big decision to make, especially if you know you may be coming back. The stress of renting just might be greater than house-hunting when you move back. Talk to other property managers in your area and look at your financial information before you make the final choice. When you decide to sell, call a trusted RealtorⓇ. The Windermere Real Estate Market Trends Report shows the average sales price was $600,277 in June 2018 compared to $551,353 in June 2017. Homes were on the market for an average of 65 days, down from 73 days last year. Homes sold for 97% of the list price.